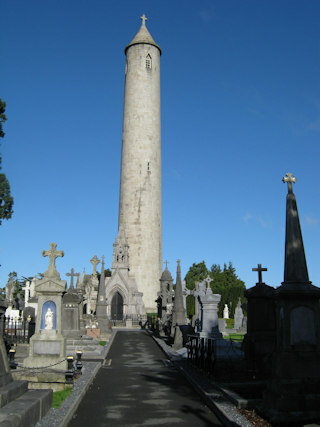 The Glasnevin Cemetery is the largest in Ireland and quite possibly the whole of Europe and is a tourist destination in its own right complete with museum and cafe. Until recently many of the gravestones were broken or fallen but a major restoration project is underway and those gravestones with blue labels have been repaired. There are large areas still to be restored and these include many of the oldest graves. Those graves indexed here are the most accessible and generally the older graves, the earliest burial being in 1832. The GPR holds 299 grave and 944 person records for the cemetery. There have been 10 requests for photographs from the cemetery.